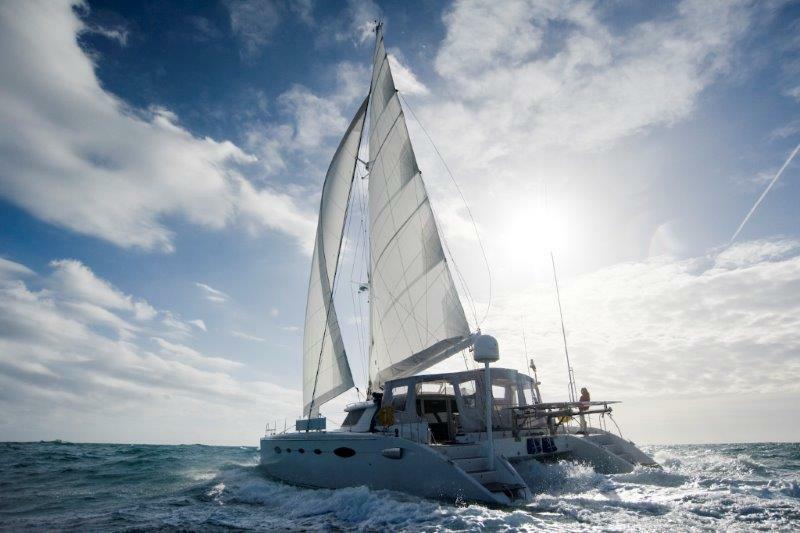 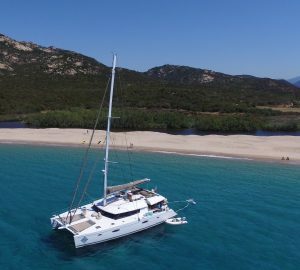 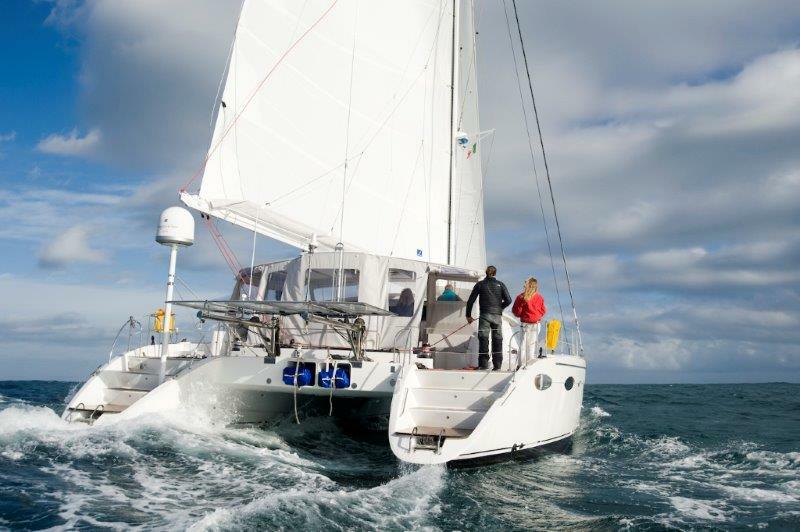 Fountaine Pajot sailing catamaran WHY NOT is a 2013-refitted luxury yacht, boasting exceptional sailing performance, combined with superior comfort and great amenities. 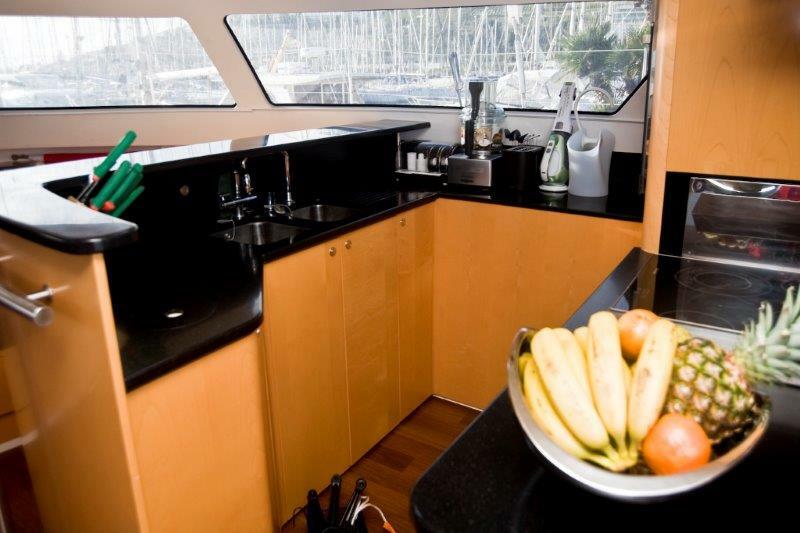 Luxury charter yacht WHY NOT offers inviting interior and exterior spaces as well as comfortable accommodation to up to 8 charter guests. 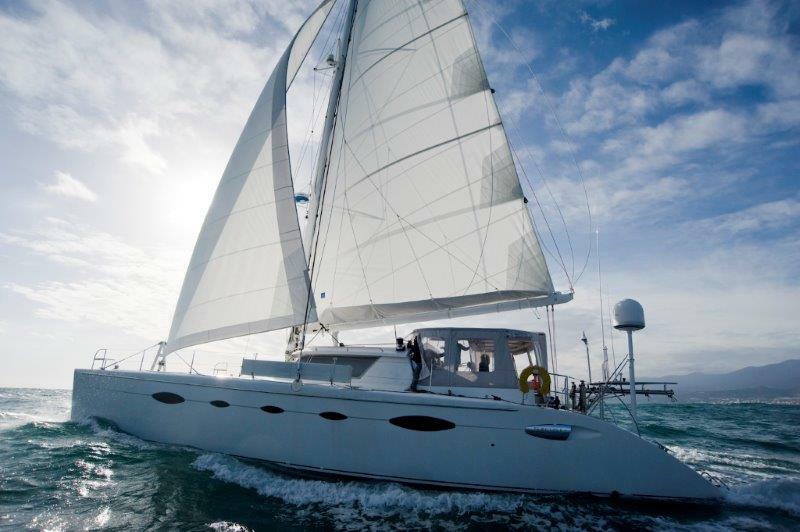 She is available for Mediterranean (summer) and Caribbean (winter) charter holidays with friends or family. 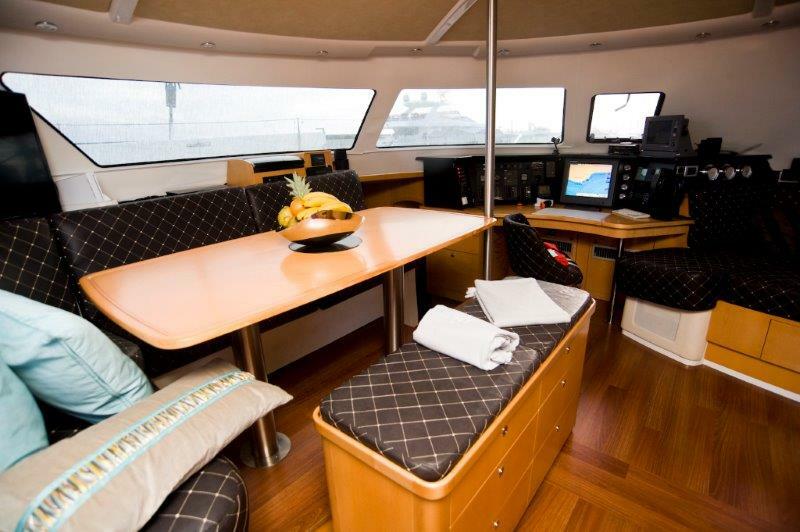 Interior of luxury yacht WHY NOT is represented by golden honey-toned wood finishes and sophisticated colour-scheme, which includes rich mink and soft cream with teal blue accents. 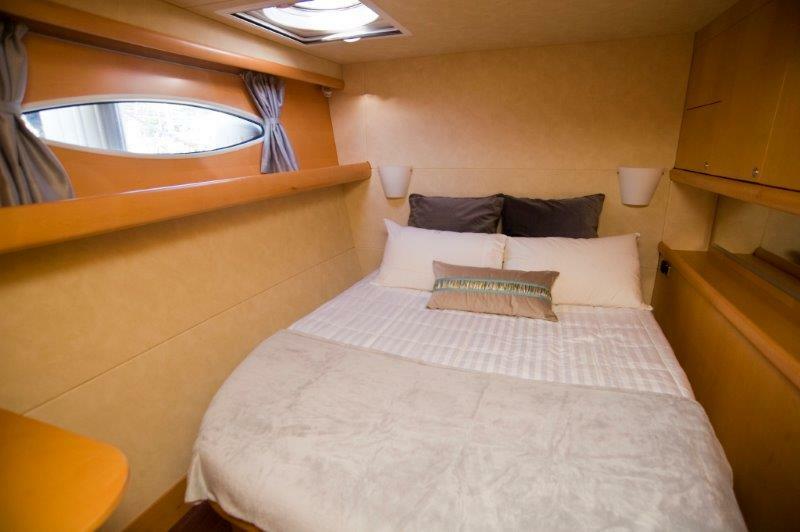 The bright and cosy living area boasts a lounge, a dining table for eight, as well as a well-equipped galley. 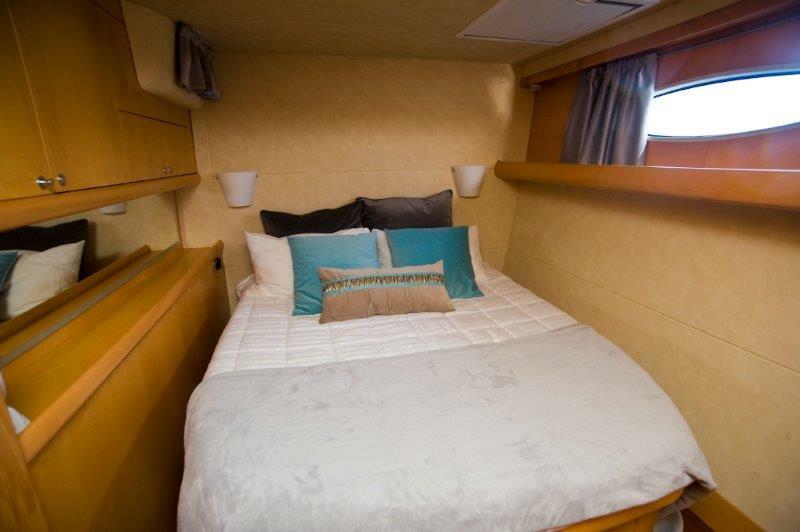 Accommodation comprises two spacious de luxe cabins with queen-sized beds and en suite bathrooms, with shower stalls, and two double cabins with en suite bathrooms and showers. 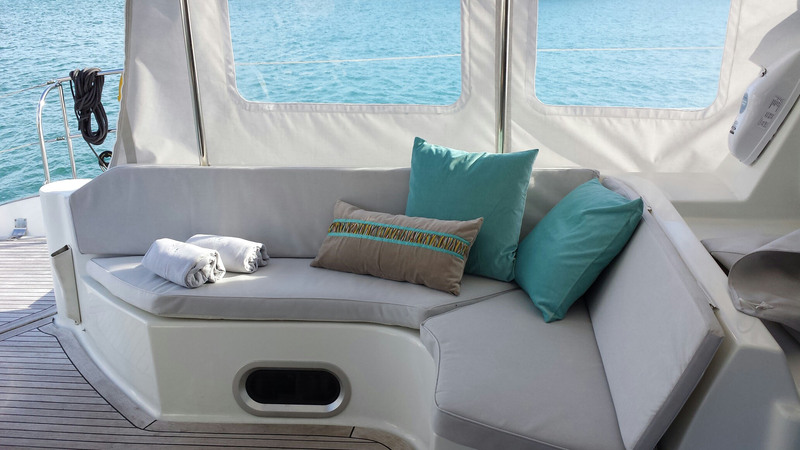 Exterior of WHY NOT yacht offers vast areas for relaxation and entertainment and there are numerous possibilities for lounging in the shade or sunbathing. 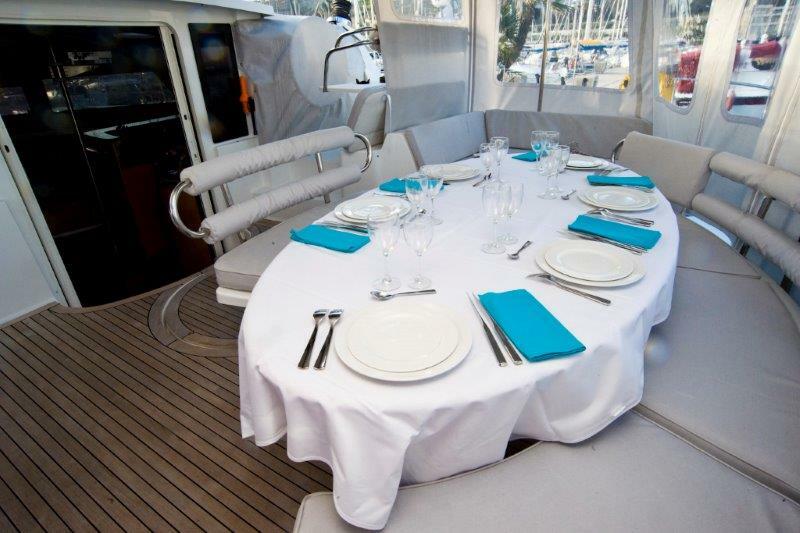 The cockpit has an oval outdoor table with padded seating for al fresco dining. 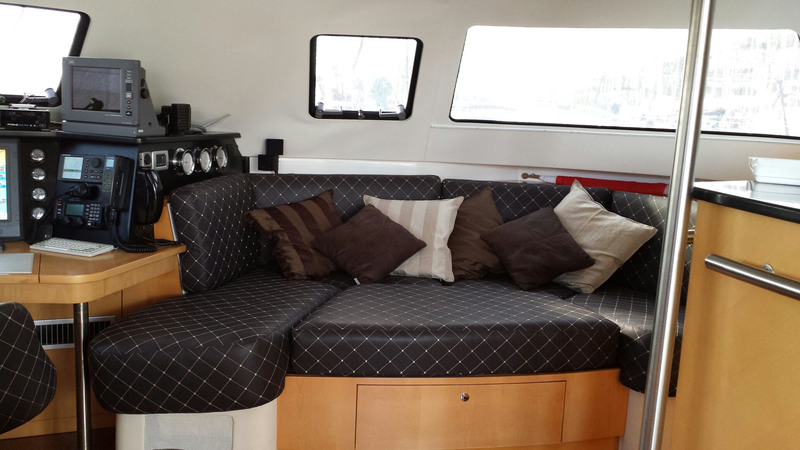 The sunbathing area is found on top of the living area and the forward trampolines also offer a fantastic space for sunbathing and relaxation under the sun. 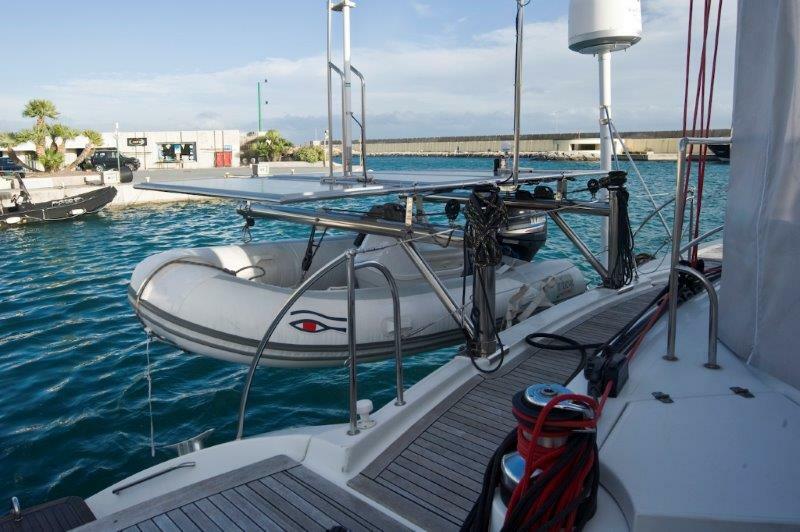 For additional entertainment and activities, WHY NOT catamaran offers a great range of water toys: a 3-person kayak, a wake board, water skis, diving equipment, and fishing gear. 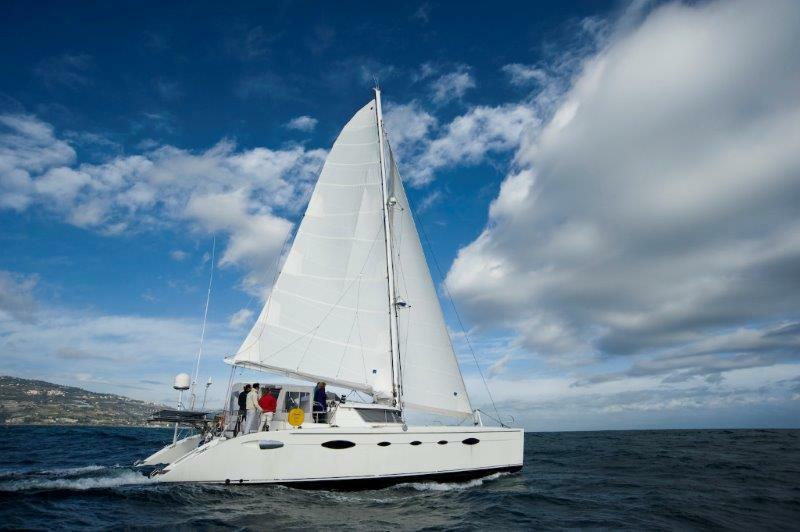 A professional crew of two is there to cater for every single one of your needs and to make sure you have the best holiday imaginable. 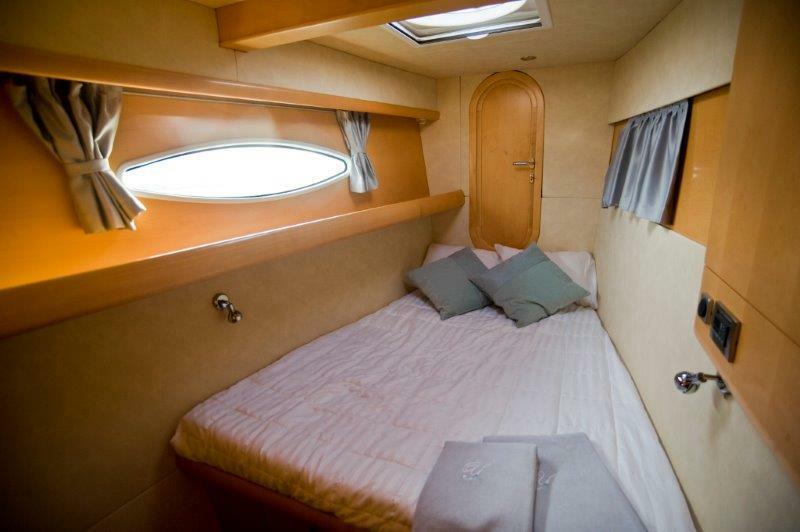 Accommodation is divided into four comfortable cabins, including two double and two twins, for up to 8 charter guests.